RHS nurtures all students to be critical, creative, and resilient problem solvers prepared for career or college with an entrepreneurial spirit. We focus on high academic achievement, social-emotional learning, and student agency so that all students thrive. Our school community welcomes all incoming families for the 2018-2019 school year. Register with Konstella today to stay up to date with classroom activities, as well as school-wide announcements. California students take several mandated statewide tests. These tests provide parents/guardians, teachers, and educators with information about how well students are learning and becoming college and career ready. The test results may be used for local, state, and federal accountability purposes. The science fair is for students to present and share their science project in the form of a report, display board, and models that students have created. An event when schools open their doors so students can share their work with parents and parents can get a glimpse into their children's learning day. 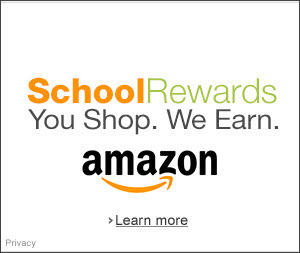 CLICK HERE for Amazon rewards! Earn up to 10% by clicking on the Amazon Associates link above. Bookmarking cancels rewards. Please go through this website every time you shop at Amazon. Thanks RHS Community! This is our community’s private online gathering place, where you can see our official school calendar, get notified about upcoming events, message your child’s teacher, sign up for committees & volunteer opportunities, reach out to other families in your classroom, and so much more! Download the Konstella app on your phone, or go to ‘find your school’ at www.Konstella.com. Everyone—parents, educators, and other citizens active in their schools and communities—is invited to join! You can now complete your membership and pay your annual dues from the comfort of your own computer or smartphone. Simply click the link above! Just $11 per member.